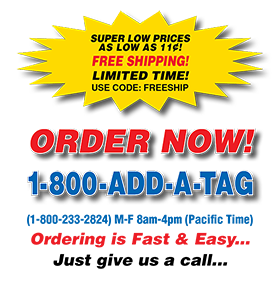 Choose from the industry’s largest selection of dealer addendums... ranging from simple to sophisticated, basic to premium, with choices of sizes and designs, and a full range of coordination levels with your own manufacturer’s window sticker. 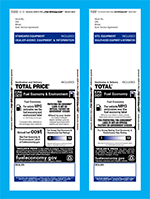 Here are the latest ADD-A-TAG® products used by most dealers throughout the U.S.A. Select your manufacturer below, and we will automatically present the best product choices for you, with a full range of design styles, tag sizes, prices, and levels of coordination with your factory window sticker. 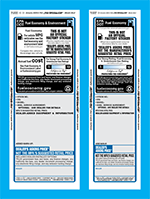 ADD-A-TAG® worked in direct cooperation with the State of California and Department of Motor Vehicles regarding the appropriate use of supplemental window stickers and ADD-A-TAG® products. 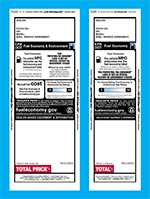 As a result of these efforts, ADD-A-TAG® developed California-Tag® window stickers. Here are the latest ADD-A-TAG® products designed for use in the State of California. Select your manufacturer below, and we will automatically present the best product choices for you, with a full range of design styles, tag sizes, prices, and levels of coordination with your factory window sticker. 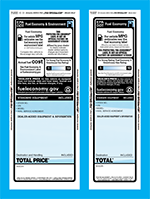 ADD-A-TAG® worked in direct cooperation with the Texas Motor Vehicle Commission regarding the appropriate use of supplemental window stickers and ADD-A-TAG® products. 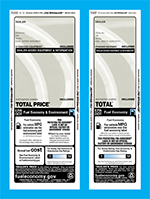 As a result of these efforts, ADD-A-TAG® developed TEXAS-TAG® window stickers. 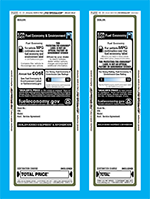 The Texas Motor Vehicle Commission code and advertising rules are specific, and there are laws governing the appropriate use of supplemental window stickers. 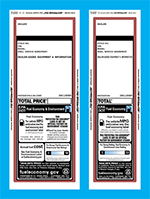 Here are the latest ADD-A-TAG® products designed for use in the State of Texas. 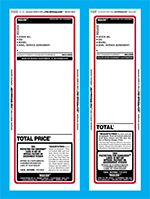 Depending upon your preference, you can choose the border colors of your TEXAS-TAGs® in Black, Blue, and Red, as well as selecting from a range of design styles, tag sizes and prices. One of our friendly customer service representatives will guide you through the easy order process. We will help you select the best products to meet your needs... at the best possible price...Guaranteed! No one matches our quality, and no one comes close to our selection of sizes, styles and customizing options. 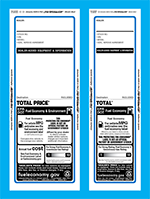 We maintain over a million ADD-A-Tags® in our giant inventory. And when it comes to customer service, just ask any one of our thousands of satisfied customers in all fifty states coast-to-coast.